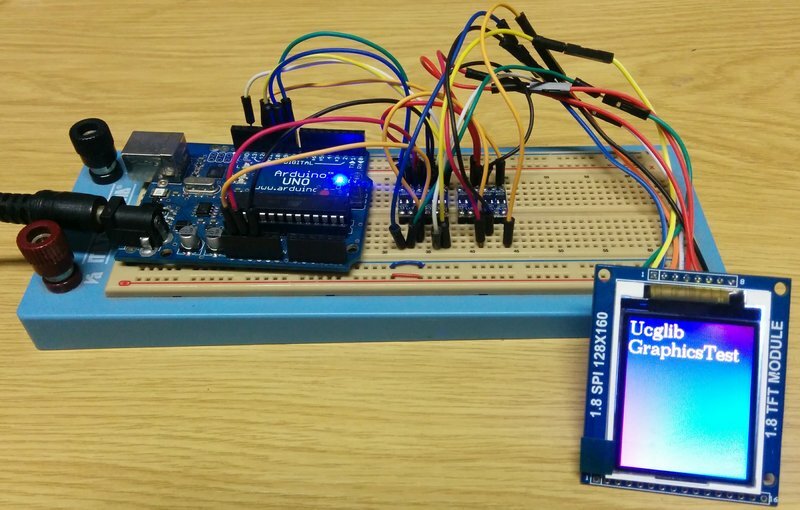 A quick guide describing how to hook up an ST7735 128×160 SPI TFT display to your Arduino and get the library to display something. On the back it has two sets of pins and an SD card holder. I used the pins that already had a pin header soldered in. There is also a jumper (J1) you can solder to select between 5V and 3V VCC. 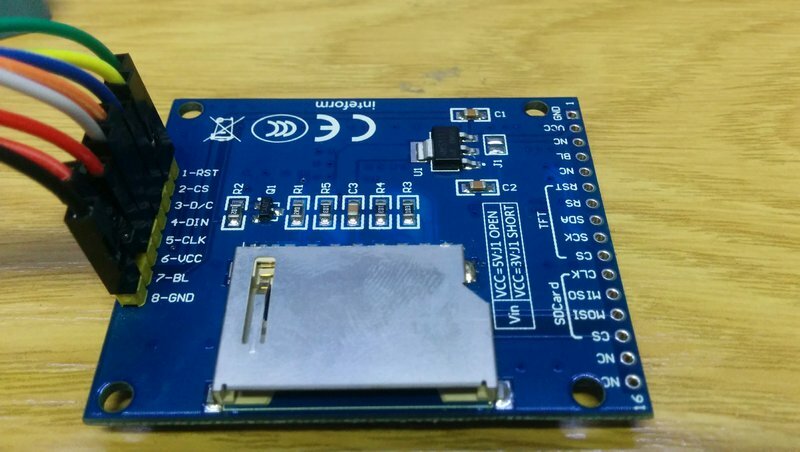 It looks like this jumper just enables a a voltage regulator on the VCC line for you. I could unfortunately not get the display to work using 5V signal lines from the Arduino. Using the IO directly from the Arduino just resulted in a white screen. Luckily this did not damage my module. I used two 4 channel level shifters because that’s the only ones I had and the display module required 5 IOs, but you also get 8 channel ones. I used two of them because each level shifter could only shift 4 IO’s and the display module required 5 IOs. 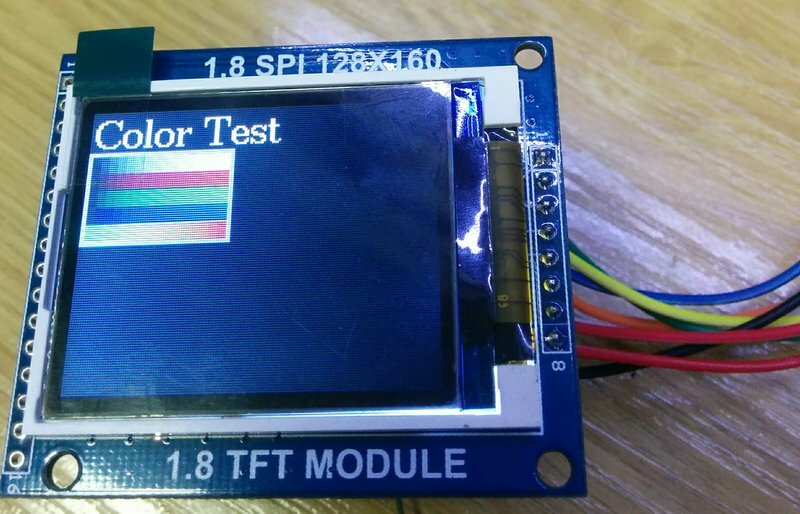 This library allows drawing text, images, and shapes on the Arduino TFT graphical display. This libraries examples will work without modification if hooked up as above. Open File -> Examples -> TFT -> Arduino and choose any of the examples, and upload the sketch. The second library I tried was Ucglib, by oliver. This library I installed using the Library Manager in the IDE (Ucglib by oliver Version 1.3.3). 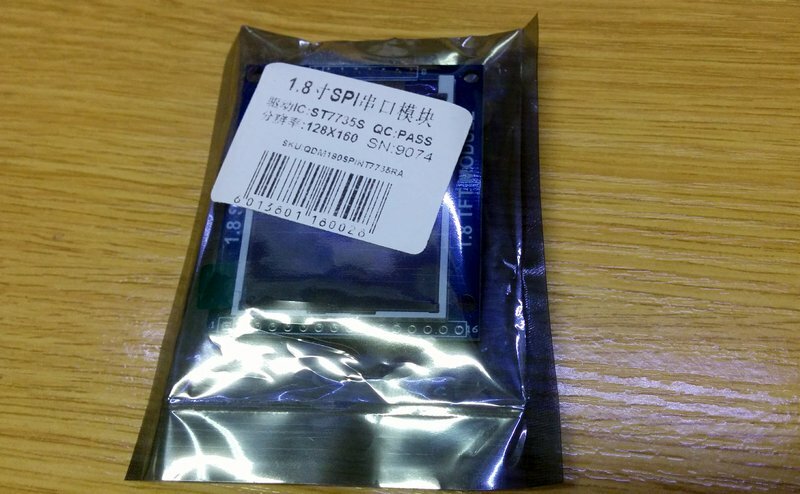 The library description is: A library for true color TFTs and OLEDs Supported display controller: ST7735, ILI9341, PCF8833, SSD1351, LD50T6160, ILI9163, SSD1131, SEPS225. Features: 18 Bit color depth, many fonts.